Ever since I saw Allard's copy of the Power Tower and then Goetz' version too I had lusted after it and was very pleased when Jack told me he would be making a few more after his kitchen redesign was completed. I waited happily for a few months and to my horror he announced their availability at just the same time as everyone else had done so! But I couldn't say no could I? It comes in a box with several burrs and blocker pieces to allow the construction of up to 120 different assemblies with mixed base (2 or 3) and variable stage (3-6), level 13 up to 727. 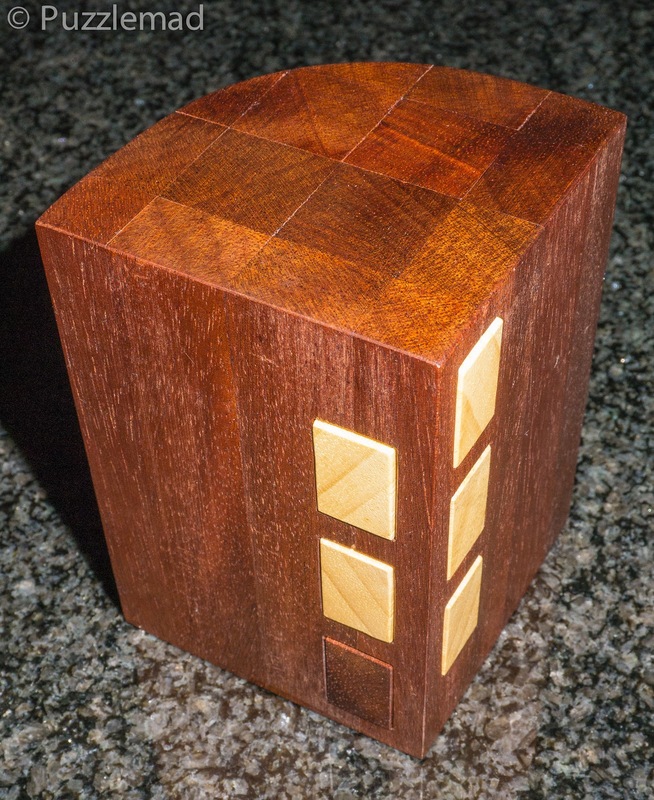 It is made of Mahogany, Abachi and an Oak box. For a full analysis of this type of puzzle have a look at reference number 12 on this page of Goetz' site. 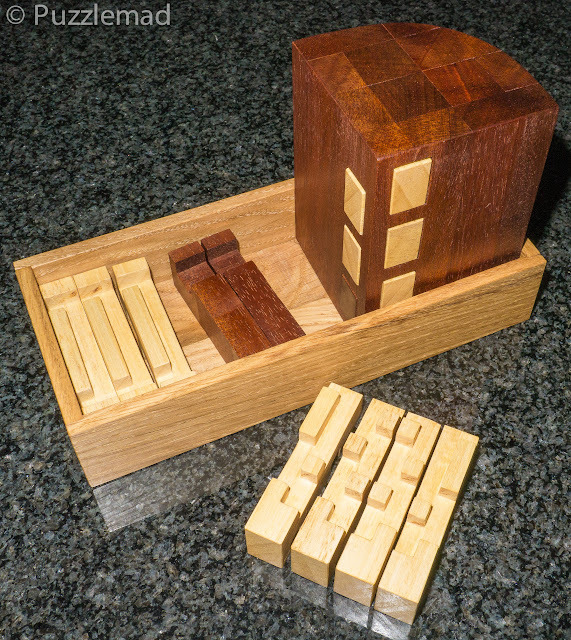 So far I have assembled and disassembled all the 3 and 4 stick puzzles and am working my way through the 5's! Yay!! !